Top-of-the-line biometric enrolment solution enabling easy and secure capture, processing, storing and forwarding of biographical and biometric data. We offer a user friendly interface to capture the personal data of the applicants. Not matter the complexity of your form, the interface is fully configurable to fit your requirements. As an example, you can create rules that people have to follow when they fill out your form. You can also require answers to match a particular set of criteria called regular expressions. Since facial recognition is the primary biometric means used for identity verification, capturing high-quality portraits at the enrolment stage is absolutely essential to ensure the best matching rates. 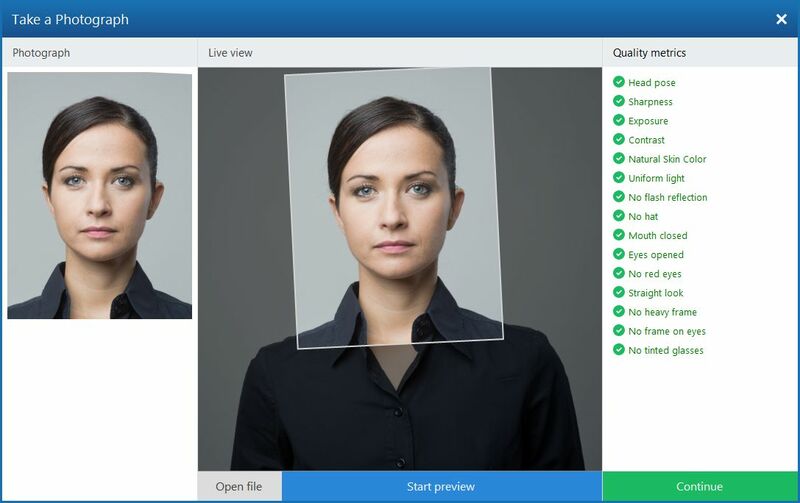 Using our biometric enrolment software, taking high quality portraits has never been easier. Webcams, IDS cameras and even the most advanced Canon DSLR, such as Canon 5D Mark IV, are supported by the application. With remote capture the operator can even take a picture directly from the digital camera, without any intervention on the application. 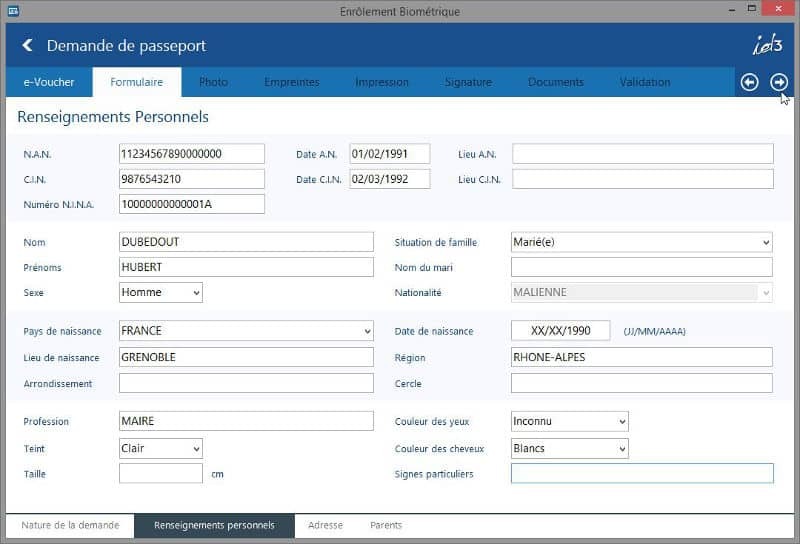 The interface checks automatically the compliance with ISO/ICAO standards. 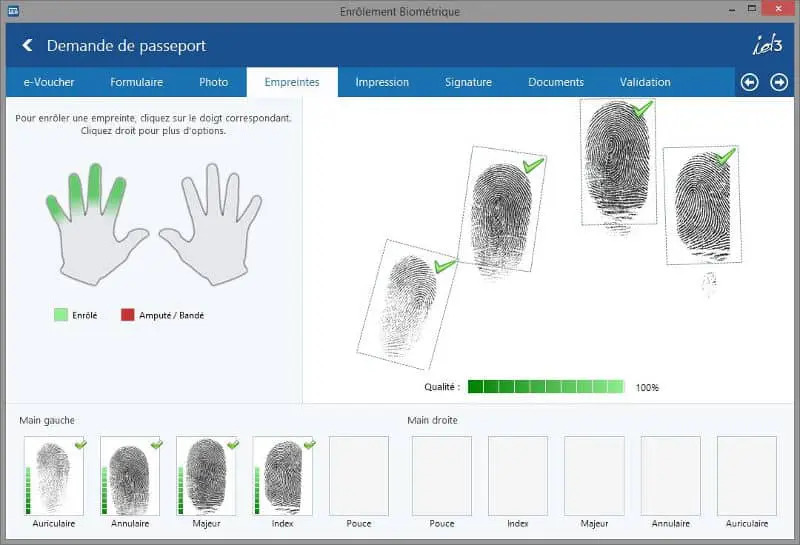 Our comprehensive interface can capture one to ten fingerprints using a wide range of single and slap fingerprint scanners. The quality of the prints taken is verified using either id3’s proprietary algorithm or the NIST NFIQ to ensure that the best templates are stored in the database. Compatible with most of the fingerprint scanners currently available on the market. It includes : Cross Match Guardian, Digital Persona U.are.U, Futronic FS88, id3 Certis Image, Lumidigm, Sagem MorphoSmart, Upek Eikon (capacitive), etc. 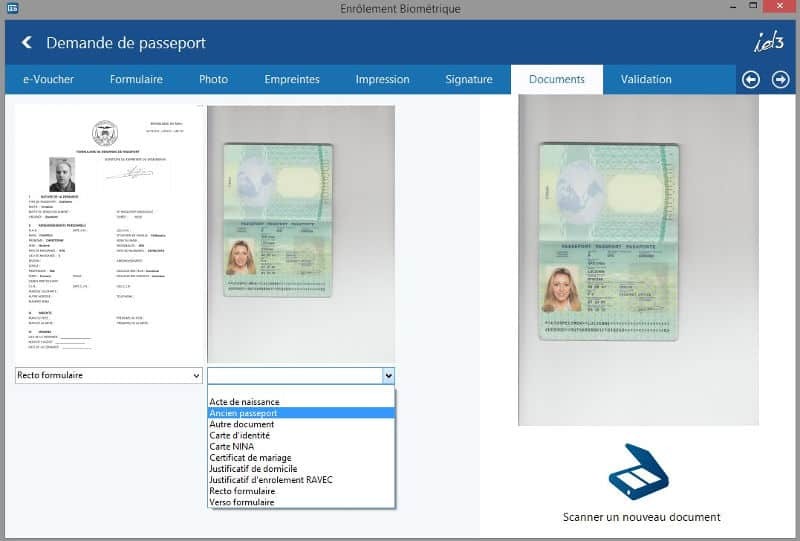 Support segmentation on 2 to 4 slap fingerprint scanners. Use a wide range of signature pads to capture handwritten signatures. Use any flatbed scanners to scan additional documents to be stored alongside the applicant data.